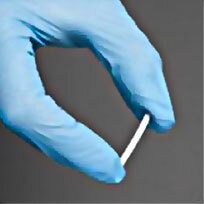 Now available: Implantable SUBOXONE (buprenorphie) that lasts for up to six months. Dr Hayes is one of the only licensed, board certified addiction physicians to implant the buprenorphine in Pennsylvania, using ultrasound guidance for precision placement and maximized effect. This simple procedure involves placing the implants under the skin on the inside of the upper arm, and is performed right in the office in about 25 minutes. Contact us for more details! Suboxone is the first opioid medication approved for the treatment of opioid dependency and addiction in the privacy of your doctor's office. Suboxone is a partial opioid agonist that blocks other opioids from attaching to receptors in the brain. This treatment can help you stop misusing opioids. Treatment with Suboxone can help you rebuild your life. In most cases, patients can take Suboxone home, just like any other medication after they have had a thorough health evaluation by a qualified physician. SUBOXONE is a partial opioid agonist that produces fewer adverse side effects than does a full opioid agonist (such as Heroin, OxyContin, Percocet, Vicodin etc.) Opioid agonists bind to opioid receptors in the brain. When these receptors are stimulated, they cause different neuromodulators (chemicals) to be secreted in certain areas of the brain which cause euphoria and are also responsible for the reinforcement of ADDICTION, PHYSICAL DEPENDENCE,AND WITHDRAWALS when the drug is stopped. The way different opioids work can be explained using the lock and key example. Receptors are like a lock to a door. Only the correct key will fit the lock, and only opioid like drugs fit opioid receptors. However, while SUBOXONE is similar to a full MU opioid agonist, it has some significant differences because it is a "partial" opioid agonist. With SUBOXONE, the key fits the lock but does not open the door all the way so it produces fewer full opioid agonist effects, and at the appropriate dose, it blocks other opioids from fully opening the door. Therefore, the patient feels "NORMAL" while taking the appropriate dose of SUBOXONE without the effects of euphoria or withdrawal symptoms and with a much less risk of addiction or dependency. How long will you stay on Suboxone? The length of therapy varies with each individual. The purpose of SUBOXONE is to provide a treatment that stops the euphoric effect of opioids that reinforces drug dependency and addiction and at the same time reduces cravings and stops withdrawal symptoms. After finding the correct starting dose of SUBOXONE, the dose can subtly and slowly decreased until the patient is weaned off the medication totally. In the process, the patient feels "normal" and can get on with the normal functions of his or her life. Every patient is different so the processes may take anywhere from several weeks to several months. How does the Suboxone program work at the Hayes Center for Pain & Addiction? Dr. Hayes is a Board Certified, Licensed Physician who has the appropriate credentials from the federal government to prescribe SUBOXONE. Our program follows very strict federal and state guidelines. Not all patients are candidates for the SUBOXONE Program therefore, we provide appropriate screening before an individual is determined to be a candidate for the SUBOXONE Program.This includes an initial telephone interview followed by a one hour intake which is the initial interview where Dr. Hayes will perform a full medical history, an examination, and a drug screen. Once this is completed, he will determine the appropriate dose of Suboxone. He will also provide other adjunctive therapy for symptoms of detoxification including acupuncture and medications which are used to treat the side effects of withdrawal. However, very often SUBOXONE will be totally sufficient. Professional counseling resources are recommended. Local resources will be provided. If it is determined you are a candidate for the Suboxone Program, you will be provided a prescription for the limited amount of Suboxone to take to a local pharmacy. The medication will be brought back to the office where Dr. Hayes will observe you for the INDUCTION process. The INDUCTION is the process where you are taking Suboxone for the first time. It is taken under the tongue for a period of 10 to 15 minutes. We generally schedule appointments early in the morning because a patient needs to be in an early state of withdrawal before starting the induction program. Therefore, it is recommended that your appointment is at 9 a.m. to noon, and you do not take any drugs from 9 p.m. the evening before. If you are not in an early state of withdrawal, you will have to be rescheduled. Once the induction process is completed and the appropriate dose is determined, you may leave the office, and a telephone consult will be provided later in the day. Patients are given a 24/7 hotline to contact Dr. Hayes for any questions regarding their Suboxone treatment. Follow up treatments are scheduled according to each patient but are generally 2 to 3 weeks after the initial induction. Each patient will be given supplemental material regarding Suboxone and provided with resources for counseling. Please be advised that the Suboxone/Subutex Detox Program is considered a non-covered service by most insurance companies. In general, most commercial insurance companies do not cover the entire cost of the program. Therefore, the majority of the program is an out- of- pocket expense. However, some insurance companies will pay for a medical evaluation which may defray part of the cost. Our detox coordinator will assist you with this determination prior to your first visit. She will be glad to discuss all of the financial details. If you have any further questions regarding the Suboxone Program, please call 610-757-1035.